All too often does the rest of New York get overshadowed by the city. 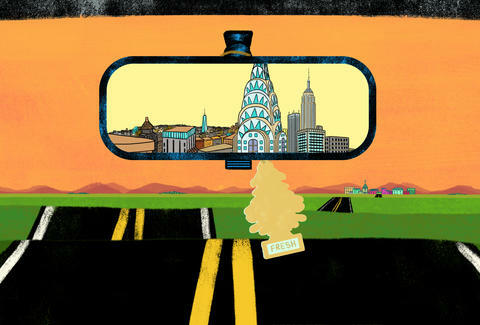 But make no mistake, the Empire State is full of small towns that are loaded with great restaurants, bars, wineries, breweries, mountains, hiking trails, camping, and legendary music and sports venues. This summer, make it your mission to get out of the city and experience the best New York has to offer, outside of the tri-state area, of course. Why it’s so great: “Do you believe in miracles? YES!” These iconic lines were uttered by sports broadcaster Al Michaels during the dying seconds of what became one of the most famous underdog victories in sports history. The 1980 Winter Olympics -- which took place in Lake Placid -- saw the college-aged men’s US national ice hockey team come from behind to beat the legendary Soviet Union, who had won gold six out of the past seven Winter Olympics. The US ended up winning the gold, and the “Miracle on Ice” was born. While you can always visit Lake Placid’s Olympic Museum to relive the memories of the 1980 Games, the Adirondack town has a slew of other activities that will make you feel like an Olympian. Visitors can try their hand bobsledding at the Bobsled and Luge Complex, or take in amazing views atop of the Olympic Ski Jump Complex. 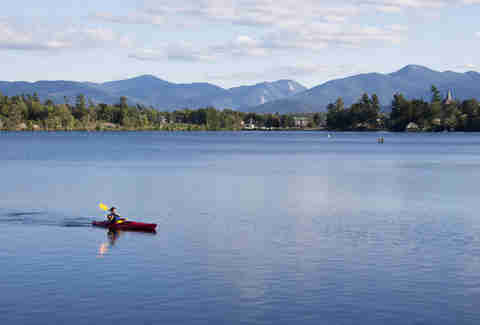 Mirror Lake’s pristine water makes it an ideal place to spend a summer day kayaking or going for a swim at its own beach. 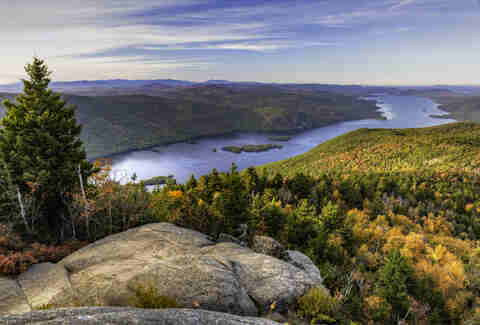 And as with any destination in the Adirondacks, your time in Lake Placid isn’t complete without a hike; a climb up Mt. Jo will reward you with breathtaking views of the lake and the rest of the mountains that surround it. Must-eat foods: Smoked trout at Liquids and Solids; schnitzel & grits at Lisa G’s; BBQ from Smoke Signals. 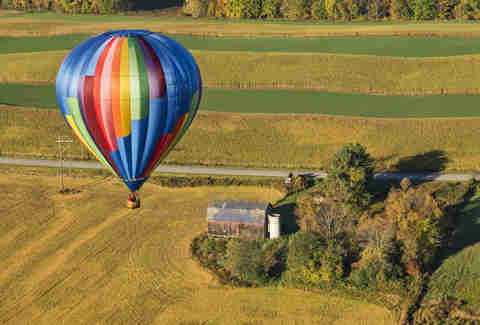 Why it’s so great: From hiking in the Adirondacks, paragliding and parasailing, to boating on the lake, whitewater rafting and horseback riding, there’s no shortage of outdoor activities at Lake George. For history buffs, a visit to Fort William Henry -- a British fort from the French and Indian War that was portrayed in The Last of the Mohicans -- is a must. Cabin rentals, campgrounds, dude ranches, and RV parking make Lake George an easy and accessible getaway in the mountains. Must-eat foods: Garrison pork wings from The Garrison Restaurant and Bar; short rib ravioli from Bistro LeRoux; Bear Naked Ale with the salmon BLT at Adirondack Pub & Brewery. 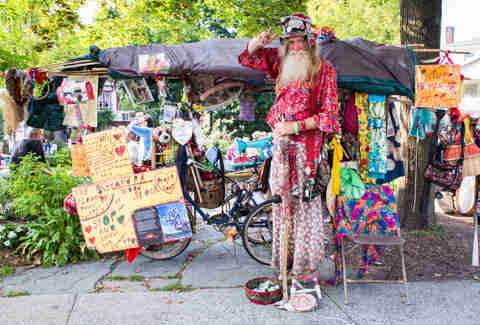 Why it’s so great: A town entirely inhabited by spiritualists, freethinkers, and mediums makes Lily Dale one of the quirkier towns in New York state. Visitors usually book appointments with mediums to get a spiritual reading, but those who aren’t so keen on that can still get a glimpse into the daily life of the community. 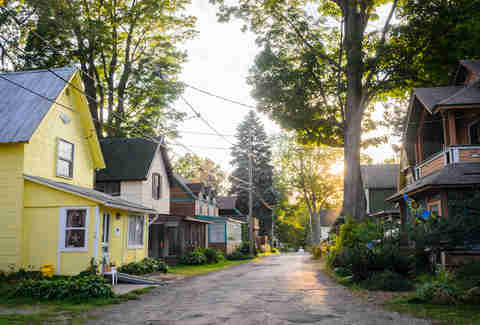 The village includes a Spiritualist Sunday School, a Healing Temple, and a Fairy Trail: a nature trail in the woods with tiny homes and villages built by Lily Dale residents for the fairies and gnomes that reportedly inhabit the forest (yes, really). If you end up feeling a closer connection to the spiritual world during your visit, you can visit the Inspiration Stump, where mediums hold community sessions and give readings to members of the audience, free of charge. Must-eat foods: Pot roast from Whiskey Hill Saloon; any of the daily baked goods at Monika’s Delites; coconut shrimp at JoJo Asian Cafe. Why it’s so great: Named after the lake it’s situated on, Skaneateles (pronounced “skinny-atlas,” an Iroquoian word meaning “long lake”) is a part of the Finger Lakes region, which produces some of the best wine in the world (most notably, Riesling). In the summertime, enjoy strolling down the historic village filled with shops, restaurants, and art galleries housed in beautiful homes and other buildings from the late 1700s, some of which were part of the Underground Railroad. 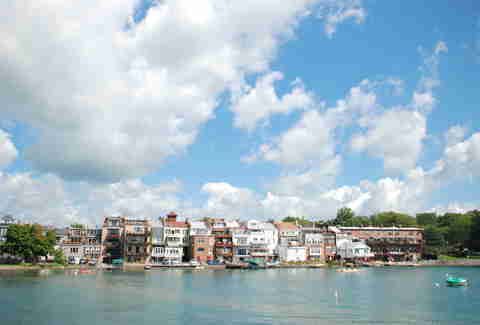 The crystal blue waters of Skaneateles Lake make it popular amongst boaters, and there’s a public launch available, as well as kayaks, canoes, sailboats, and pontoons for rent. Must-eat foods: Slow-roasted pork with braised escarole, mustard-preserved pears, and goat cheese crostini from Rosalie’s Cucina; swordfish with fennel, saffron, and red pepper from The Krebs; coconut donut from Skaneateles Bakery. Why it’s so great: While it’s largely known for being a top ski destination, Ellicottville has plenty to offer during the green season as well. In early July, the town’s top ski resort, Holiday Valley, becomes the main stage for the annual three-day Summer Music Festival. If you’re looking for more recreational activities, Holiday Valley also boasts an 18-hole golf course, and Griffis Sculpture Park offers over 450 acres of hiking trails accompanied by over 250 sculptures scattered throughout the nature preserve, making it easy to get your art and nature fix in one setting. Must-eat foods: A locally brewed beer and the English Pub Burger at Ellicottville Brewing Company; Hot Lips Mussels at Cadillac Jack’s; roasted duck with a blackberry fig reduction at Dina’s Restaurant. 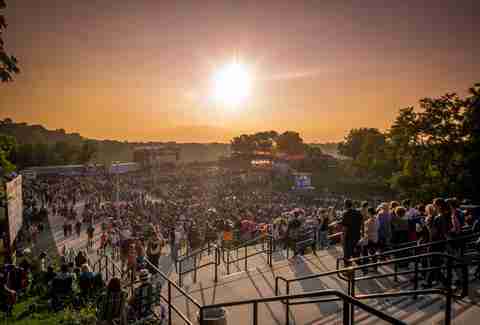 Why it’s so great: Located along the Niagara River, Lewiston comes alive in the summer with Artpark, a scenic outdoor music venue on top of the Niagara Gorge that hosts a variety of concerts and festivals during the season. A few of the acts on schedule for this summer’s festivities include Garbage & Blondie, Tears for Fears, and Lynyrd Skynyrd. In late August, Lewiston also hosts its Historic Jazz Festival, a free festival featuring world-renowned musicians performing at Artpark and in the streets of the town. Lewiston is also part of the Niagara Wine Trail, a collection of vineyards and wineries serving world-class wine. If you have a passport, you can take a quick jaunt over the Lewiston-Queenston Bridge to the Canadian side of the Niagara River and get a glimpse of the mighty Niagara Falls; Lewiston is less than 20 minutes away. Must-eat foods: One of the farm-to-table daily specials at Carmelo’s; Sicilian fig cookies from DiCamillo Bakery; amaretto frozen custard from Hibbard’s Custard & Drive-in. Why it’s so great: “The Grand Canyon of the East,” as Letchworth State Park in the tiny town of Castile is often called, boasts over 14,000 acres including the roaring Genesee River, three waterfalls, and cliffs over 600 feet high. Other than amazing hiking trails, visitors to the park can also enjoy swimming, whitewater rafting, canoeing, and hot air balloon rides. Cabins and campgrounds can be found at various points in the park. Must-eat foods: Chicken wing pizza at Charcoal Corral; porterhouse pork chop and lemon basil crème brûlée at the Glen Iris Inn. Why it’s so great: This collection of over 1,000 small islands (hence, the name) was the summer playground of New York’s richest and most elite during the 20th century, and it’s got the lavish mansions, castles, and yacht houses to show for it. The islands span over Lake Ontario and the St. Lawrence River, and many of them are located across the Canadian border, so bring your passport to get the most out of your time spent here. 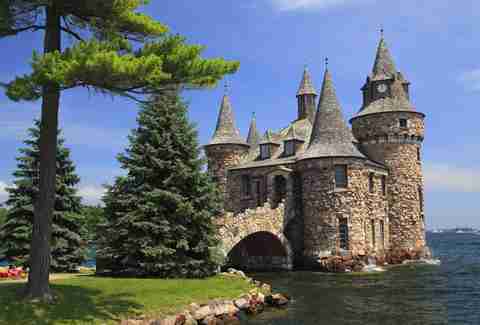 Boat tours will take you island-hopping, where you can view grandeur castles like Singer Castle and the Boldt Castle and Yacht House. The area also has several beaches, hiking trails, swimming, and rustic camping areas, most notably, Wellesley Island State Park’s campsite. Must-eat foods: Duck nachos at Sackets Harbor Brewing Co.; fudge at Lil’ River Fudge Co.; and make sure you get salad with Thousand Island dressing -- it was invented here! Why it’s so great: While the world’s most famous music festival was actually held at a dairy farm about 60 miles away from this little town, the spirit of peace and music is still in the lifeblood of the inhabitants of Woodstock. The town contains an impressive flea market, an animal farm sanctuary where rescued animals have literally gone to live on greener pastures, antique shops, a Tibetan Buddhist Monastery, and a thriving music, art, and film scene. In addition to the bustling culture of the town, there are loads of hiking trails and several watering holes for a summer swim. Must-eat foods: Indian red lentil enchilada with spiced tomato coconut sauce at Garden Cafe; lamb burger at Shindig; The Who cupcake (buttermilk cake filled with Nutella and topped with a vanilla-Nutella frosting) at Peace, Love & Cupcakes. 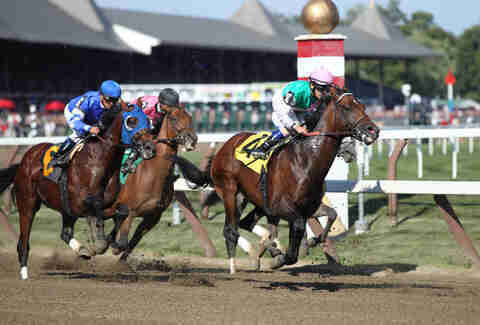 Why it’s so great: Thoroughbred horse-racing, polo, golf courses, natural mineral springs, and a town filled with upscale boutiques, shops, and museums are just some of the reasons why Saratoga Springs is considered one of the premiere tourist destinations in the US. If you’re an equestrian fan, hit the Saratoga Race Course to catch a race, or head to the Saratoga Golf and Polo Club for a polo match. For a more scenic day, stroll through the lush Yaddo Gardens, or go on a hike at Saratoga Spa State Park and soak in a mineral bath afterwards for some extra R&R. Must-eat foods: Sautéed mussels with chorizo and farm bread with tomato at Boca Bistro; shrimp and chorizo pizza from Max London’s; chicken and pumpkin walnut sautée from Olde Bryan Inn. Why it’s so great: Part of the Finger Lakes Region, Watkins Glen is right in the midst of the Seneca Wine Trail -- a collection of wineries and vineyards located around Seneca Lake -- making it a perfect destination for wine lovers to sample the best wines New York State has to offer. In addition to vino, Watkins Glen is also well known for its auto racing; Watkins Glen International is often referred to as the “Mecca of North American road racing” and has hosted auto racing tournaments of almost every class, including NASCAR, Formula One, and the IndyCar Series. Watkins Glen also has a state park that includes campsites, scenic hiking trails, and waterfalls. Must-eat foods: Seafood roll from The Wildflower Cafe & Crooked Rooster Brewpub; red snapper from Blue Pointe Grille; cannoli from Scuteri’s Cannoli Connection. Caroline King is a writer based in Buffalo, New York who is an accidental expert in New York state geography due to constantly having to explain where Buffalo is in relation to New York City. Follow her on Twitter, or read about her out-of-state travels on her blog.